John's new 33-book 10,000 page Dancing through the Ages is now complete! Earthly Delights is a banner under which - through classes, workshops, events, commissions, performances and publications - an enormous range of related passions are exercised. The twin driving forces behind Earthly Delights are John and Aylwen Gardiner-Garden, who met dancing in 1989and have shared a passion for social dance (and each other) ever since. They have 4 children and a pretty home, studio and garden in a leafy lakeside suburb of Canberra, the small but beautiful capital of Australia. Under About Us you can find notes on the artistic life of John and Aylwen, on The Dance Academy they run, on some of the musicians and dancers who've performed with them over the years, and even a little on the home, studio and garden that is their base. Under Upcoming you can find information on upcoming balls, special workshops, displays and dance class series. Please join us—we all love newcomers and love to make new friends. Under Past Events you can browse through photos, posters and programs associated with hundreds of public events we've been involved with since about 2004 (with many hundreds of more photos due to be loaded up progressively). These pages don't go back to when John started calling in 1988, or when the band Earthly Delights started in 1995, or when Aylwen started organising public events in 1998, and don't include information on any of the hundreds of private shows John's organised. So many pleasures will linger only in our personal memories. Under Books & CDs you can read about all the different resources that I, Dr John Gardiner-Garden, have produced. Presently available the 2 volumes of Lost Dances of Earthly Delights (128 dances, 400 tunes, 8 full band CDs), my supplementary Odd Delights, my popular Christmas Carol Dances (instruction for 64 dances that can go to well-loved songs), and my new 33-book magnum opus. The book is introduced on Books & CDs 'button' page (and there you'll find vignettes of all 33 covers), but fuller-covers and contents are found across the eleven pages Dancing through the Ages Overview and Companions, 1400-1550, 1550-1600, 1600-1650, 1650-1700, 1700-1750, 1750-1800, 1800-1825, 1825-1850, 1850-1875, 1875-1900. Together the 10,000 + page work offers background on, reconstruction of, and chorded music for nearly 1,000 dances from between from 1400 to 1900, as well as extensive notes analysing links between these dances, the evolution of dance forms, movement ideas and notation systems through this 500 period, and the changing nature of ball culture and dance sources in countries across the old and new word. The whole is supported by thousands of quotations, diagrams and illustrations from original sources. 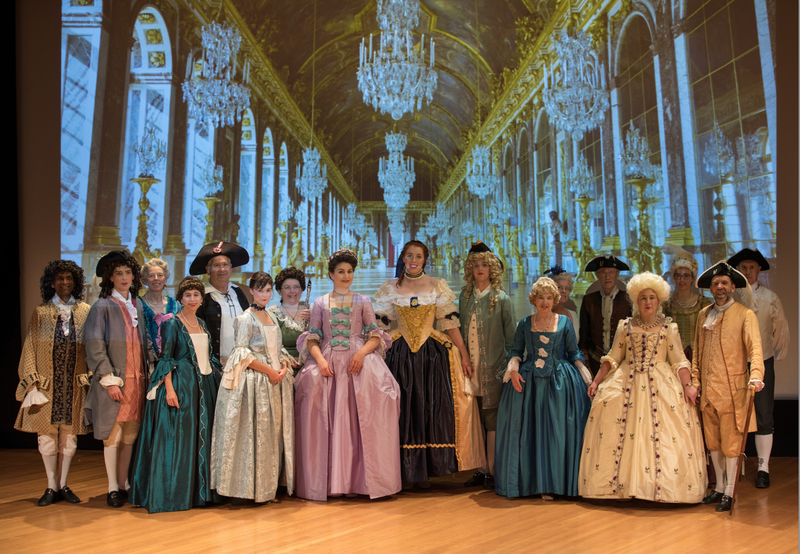 Earthly Delights has long been associated also with a big Regency-era festival every April and lots of historical costuming. 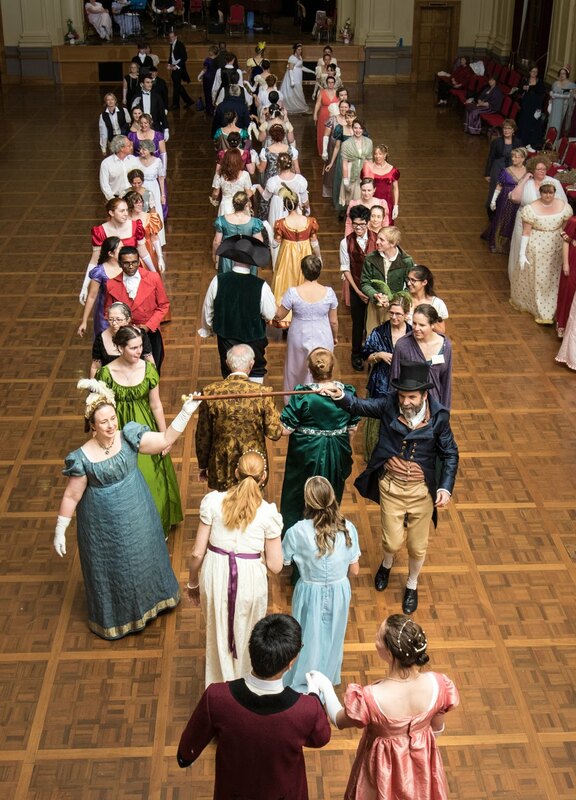 For information on these see Aylwen's separate Jane Austen Festival page, and follow its links to program and ticket information for that grand event at Canberra's historic Albert Hall), to her costuming blog and to ordering details for dress supplies and patterns. Let us come to you! 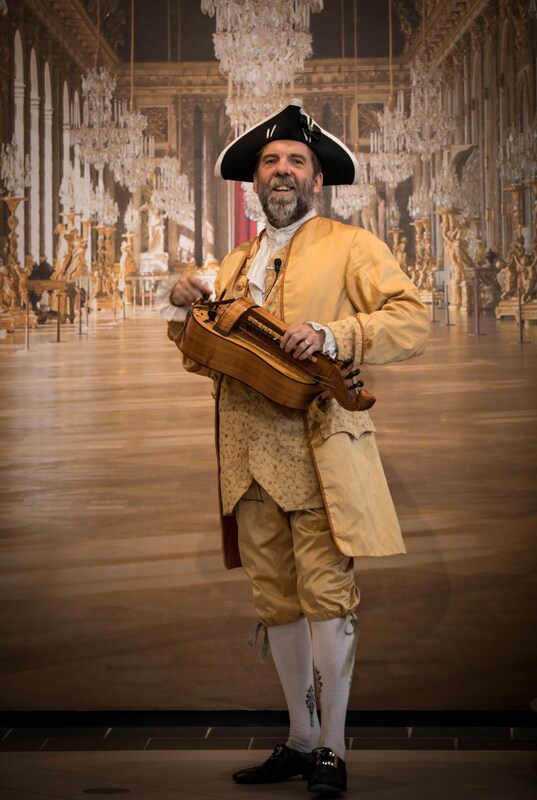 We can tailor a contribution to your next event, be it at a school, a faire, a festival, a gallery, a living-history event, a wedding or a commercial function. 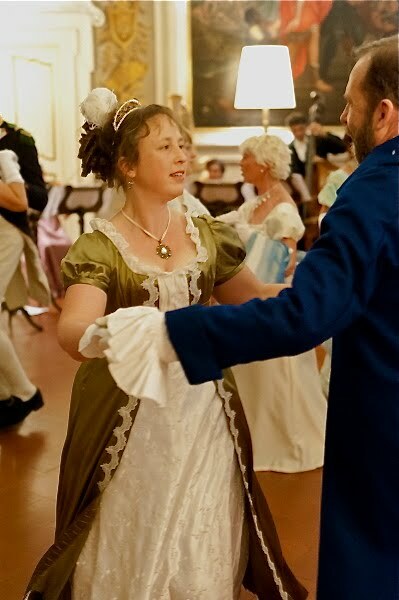 We can display and/or get participation in dances from any period and many lands. We can focus on a particular period and place (be it Renaissance Italy, Elizabethan England, Baroque France, Rococo Germany, Regency London, Civil War America, Colonial Australia etc) or more generally tour Medieval Europe, put on a Dickensian Christmas show, time-travelling through 5 centuries from 1400 to 1900, or just have a good time together! We can perform in or out of doors and can come to you in any format, from small group to show, talk or play, to a large dance band with a dozen costumed dancers. Contact us on (02) 62811098 or 0409 817 623 to discuss your needs and obtain a quote. To keep up-to-date with our news please subscribe to our free monthly newsletter by joining to our Dance News Google Group (please make sure to check your email for a confirmation email to ensure you are fully subscribed) and join us at https://www.facebook.com/EDHDA. We hope you will catch up with us one day - perhaps by coming to one of our classes or events, by booking us for your own event, by ordering a book, CD set, festival ticket or dress, or perhaps by simply emailing us to say hello or comment on something. We'd love to hear from you!